ISIS Steven Sotloff: Hostage killed, group reports. Steven Sotloff, center, in a photo taken in Libya in 2011. A group that monitors jihadists and white supremacists says ISIS has released a video that purports to show the execution of American hostage Steven Sotloff. Breaking: ISIS has released a 2:46 minute video said to show the beheading of Steven Sotloff, according to SITE Intelligence Group. Sotloff speaks to the camera before he is killed, saying he is “paying the price” for U.S. intervention. 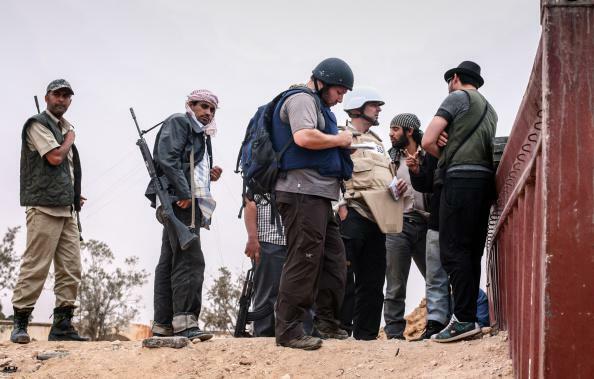 Sotloff was a freelance journalist who had reported for outlets including Time and the Christian Science Monitor. ISIS threatened to kill him in the video they released depicting the execution of hostage James Foley, also a journalist.